Shri Nagesh, a form of Lord Shiva is one of the reowned temples of Goa. It’s surroundings which includes a lake makes sai devotees remember puttaparthi. It was the installation day of Shri Maharudra Nagesh temple (in Goa we call it ‘Saptaha’) and so many kirtan and bhajan singer groups were invited. One such group was Sri Sathya Sai Organisation. After the series of melodies kirtans sung by the local singer groups, Sai devotees took the task to reverbrate the environment with bhakti-rasa. It began at around 3 pm with three samitis mainly Ponda, Karmali and Kundaim participating. Singing continued as devotees looked at the sai youths in awe, for it was a rare sight to see young generations among the kirtan groups and in such a good numbers. 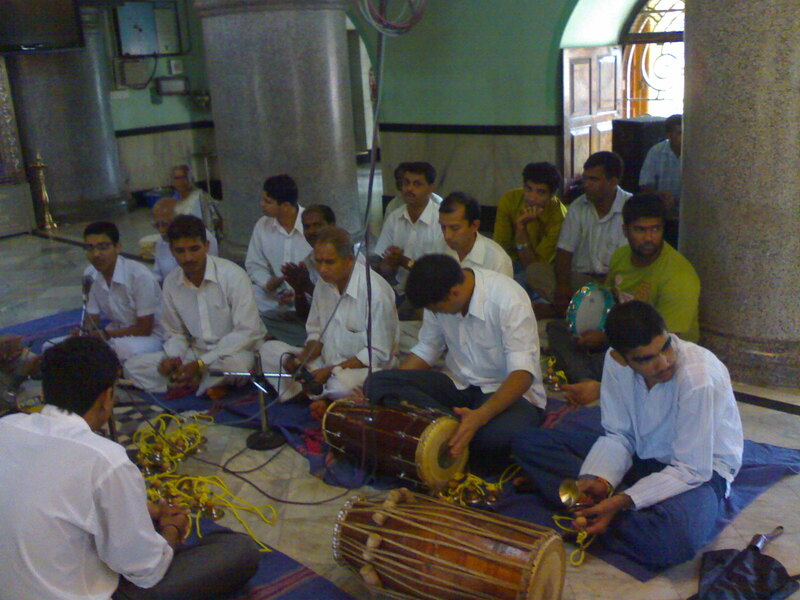 As the time passed and the 7 O’clock was coming near, the tempo of bhajans increased. With the last bhajans like Subramanyam subhramanyam… not only devotees but the priest himself could not help cradling and clapping to the tunes. At 7pm it was time to hand over the lead to other singing group. All devotees sung Aarti and parted with happy moments and prasadam.